ASUS VivoBook S comes with one year Accidental Damage Protection with 30 days Zero Bright Dot Guarantee - the most comprehensive coverage available. ASUS gives you protection against drops, spills and electrical surges while ensuring a flawless display with zero bright dots. 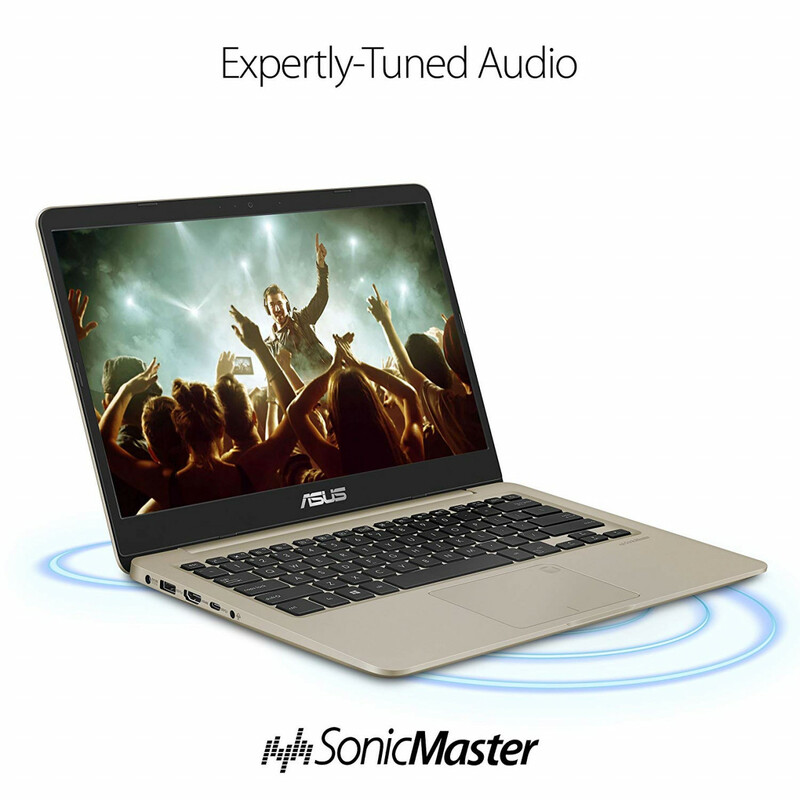 The VivoBook S410 features an 8th Generation Intel Core Processor and solid state drive for lightning-fast performance. 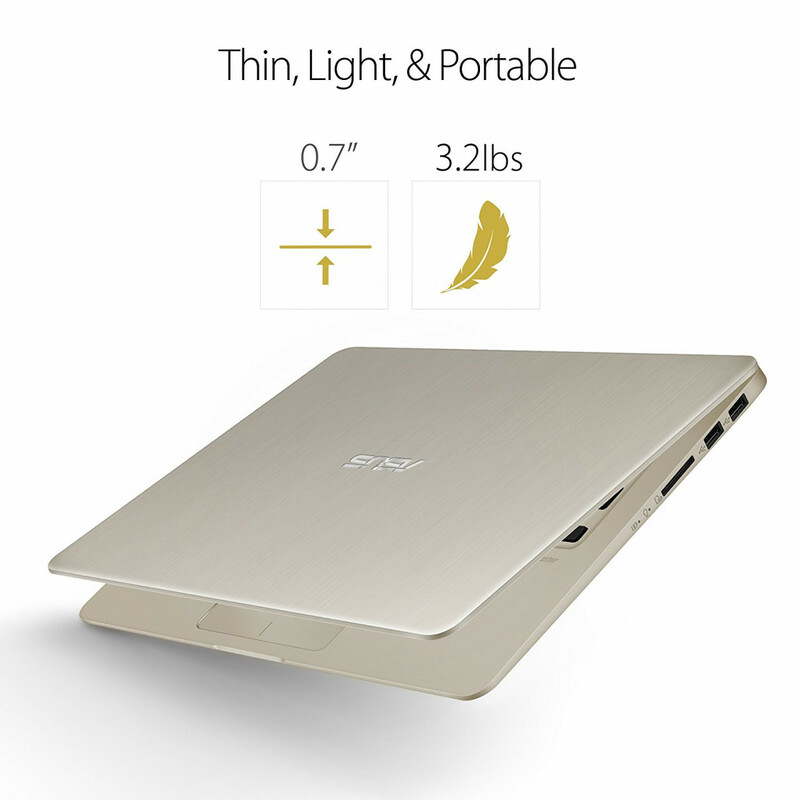 The VivoBook S410 is framed with brushed aluminum and is just 0.7” thin. The lid features a textured finish that adds a unique touch of character. Fitting a 14-inch Full HD display into a frame size that’s typical of a 13-inch laptop isn’t easy — but the ultrathin bezel of the NanoEdge display makes it possible. The VivoBook S410 is only 3.2 lbs light and features a lithium-polymer battery with a lifespan that’s up to 3X longer than standard lithium-ion cylinder batteries. 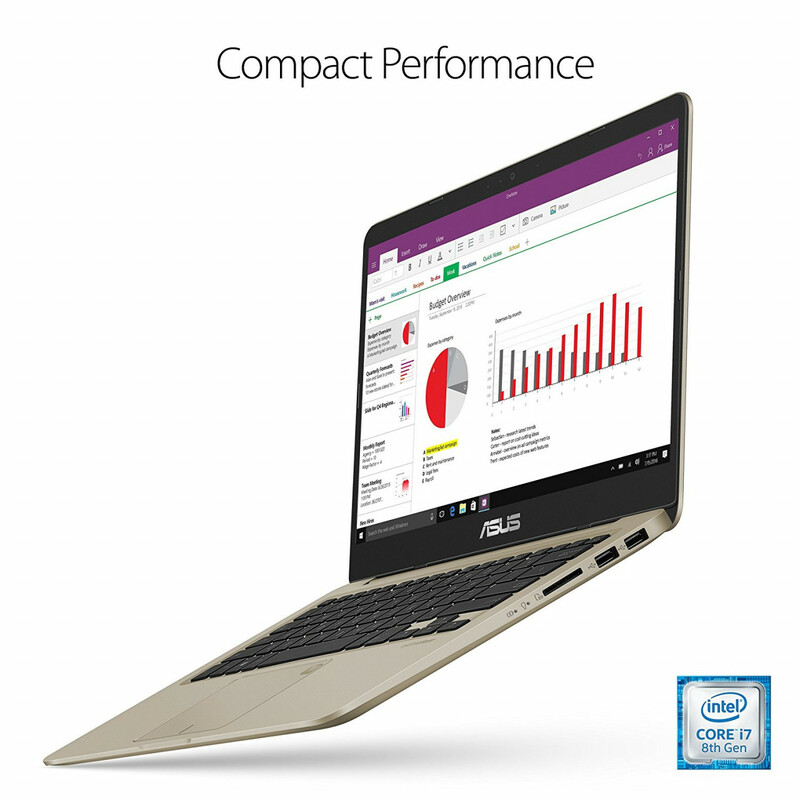 ASUS VivoBook S comes with one year Accidental Damage Protection with 30 days Zero Bright Dot Guarantee - the most comprehensive coverage available. ASUS gives you protection against drops, spills and electrical surges while ensuring a flawless display with zero bright dots. There’s a free 24/7 technical support line and 2-way free standard shipping for repairs.